This is my go-to meal. When I am out of everything and my cupboards and fridge are bare, I invariably have the ingredients for this soup on hand – or some variation of them. It is a simple, fast, and delicious soup that can be adapted to fit any taste. If I don’t have chili beans I use any beans that I have and add a can of enchilada or hot sauce. If I don’t have cheddar cheese, I use what I have, and though I love the chips, the soup is good without them. But even when I do have everything in the recipe, I keep it simple because my kids are picky eaters. Melt butter in pan and grill chicken. Shred the chicken and put aside. Chop onion and garlic and roast in butter. Add all ingredients except cheddar cheese and chips. Sprinkle with cayenne pepper and mix into soup or sprinkle individual bowls. Let the soup simmer for 15-20 minutes. Serve and garnish with cheese and chips. 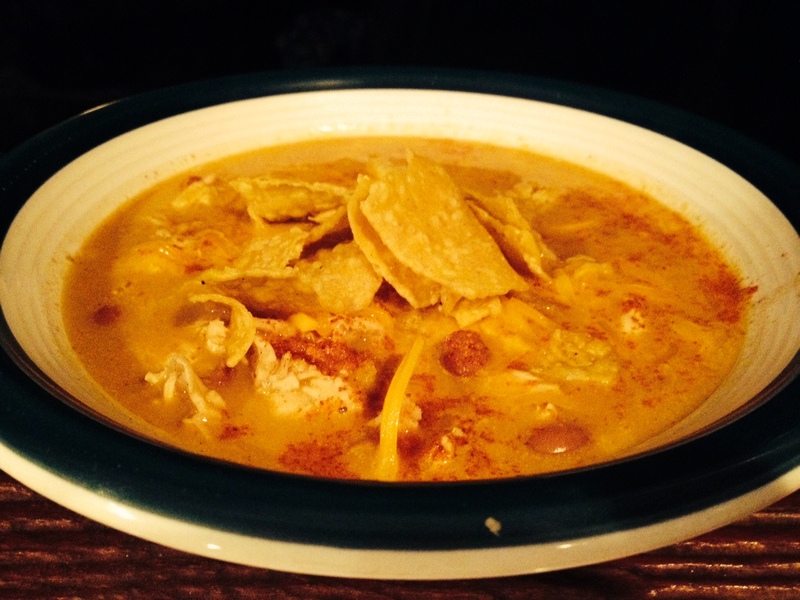 Posted on March 7, 2014, in Uncategorized and tagged chicken enchilada soup, easy recipe, soup, spicy food. Bookmark the permalink. Leave a comment.